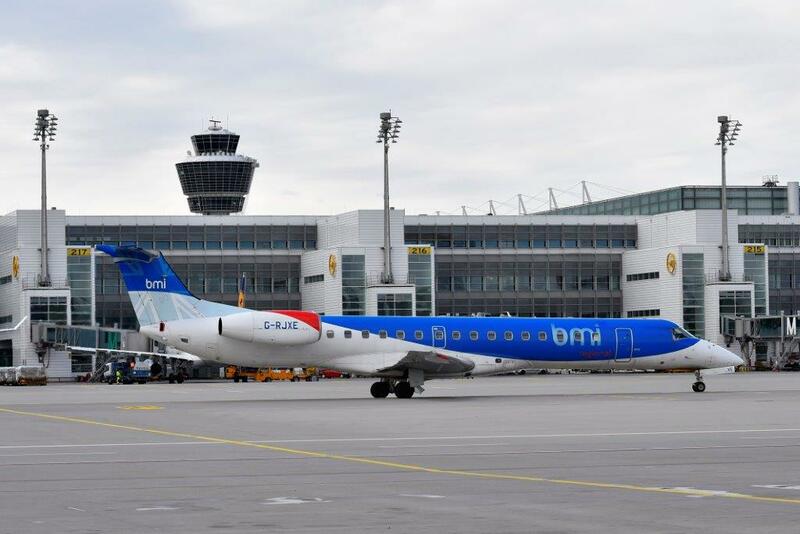 Munich Airport is pleased to welcome another “home carrier”: The British airline bmi regional has permanently stationed two Embraer 145 aircraft in Munich and will launch new services to three European destinations in the summer timetable period now getting under way. In cooperation with Lufthansa, it is offering three daily departures to Bern and Rotterdam and two to Liège in Belgium effective immediately. The flights will be operated under a code sharing arrangement with Lufthansa with BM and LH flight numbers. At present, bmi regional is already flying twice a day to Bristol in the UK. With the new connections, the airline will rise to the number five position in Munich in terms of the number of daily flights available.